As we wait for the introduction of Zimbabwe’s own currency in 12 months’ time, you need to know why it’s taking that long to bring back the infamous Zim Dollar. 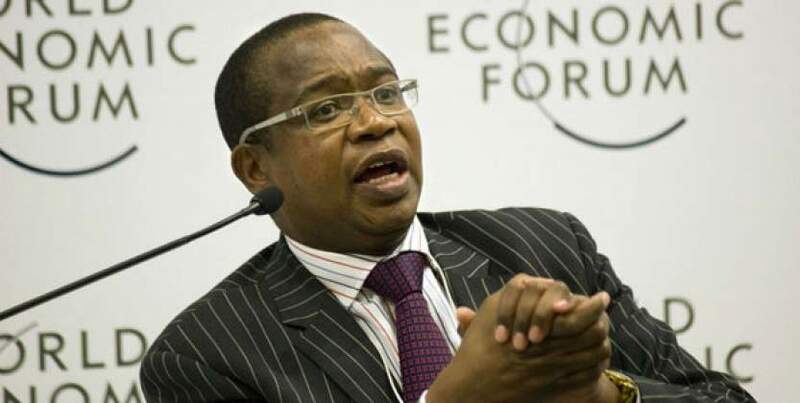 According to Finance Minister, Mthuli Ncube Zimbabwe should first get its house in order for it to have its own currency. A lot needs to be done before the introduction of the Zimbabwean currency, which first of all is fiscal discipline, making sure that we bring the budget deficit into single digits and that runaway Government expenditure is curtailed. Also making sure that there is compliance on the revenue collection front that really deals with that in terms of fiscal discipline. But also, we need to build the micro-institutions for full monetary policy conduct in the sense of introducing a monetary policy committee, making sure that we put in place a framework for inflation targeting but also growth targeting in a way. Externally making sure we can begin to address our arrears in terms of what we owe to other nations, the Bretton institutions included… But fiscal discipline is key and if you noticed what has been happening since October 2018 the premiums in the parallel market have stabilised and this is because of fiscal discipline. I suppose all these reforms may turn Zimbabwe’s fortunes around, but the issue is; can he implement these measures or is the government willing to implement these measures? I wonder if the currency is ever going to be introduced because these guys are not walking the talk. This government is now known for saying all the good things that Zimbabwe needs to do but it’s not implementing them. We have the best solution for every thing but it stops there. Whey…. Whey…Whey…. Zunu PF dollars for the demigogues. What priority is put on the payouts to the white farmers who are fighting to exist because they were driven from their legally owned farms? The truth please, because of selfish reasons these innocent people are destitute because of false people and promises by this government. I think you are talking sense Sir but the problem are these monkeys that they employ you…they won’t allow you to do yr job…..I wish to come work with u but …..bro laphana kulomsebenzi boss….. The will to do is what is needed, you can have the best policies on the planet but without the WILL to walk the talk,uyadlala bro,knowing ZANU PF it’s just one of those pep talks ask DR Nkosana Moyo!!! He forgot – or ignored – the big one: TRUST. Work towards the populace having trust in the government and its institutions. Paper currency is, after all, fiduciary, i.e. “depending for its value on securities or the reputation of the issuer”. It’s easy to plan and talk. Why not doing it practicality . Time is going. First things first. Stop rigging elections & honestly you are just an illegitimate regime remember how Zanu pf rig elections since 2008. That’s the country is at its knees because it’s ruled by self imposters. Mthuli Ncube we need serious electoral reforms , we need a non partisan ZEC & a non partisan Judiciary & not the Zanu pf Judiciary which is led by a misguided justice Malaba. When the above mentioned points have been addressed & Zanu pf kicked out of power then we can talk economical reforms!! But for Mthuli Ncube stop wasting our time!! A government led by a mampara president will always give empty promises. Nxh maan!! I don’t wish anything towards this stupid government I even pray for you to fail as you are doing cause YOU ARE JUST THIEVES including you Ncube so don’t come here telling people about the new currency to hell with you. What makes you think that your new currency would hold value? Zim dollar failed, bearer checks failed, bond has failed! Now you want to go back to Zim dollar. Good luck with that. Ncube what you no with your so called friend is promises promises promises when will this end??? ?